At The Cutting Garden we like to have fun, but we also take some things very seriously. One of those things is the quality and provenance of all the products we use and recommend to you. Nothing is more important to us than the care and health of our clients’ hair. We love finding new products to add to our range, but there’ll always be a place here for products created by Keune because they share our passion for quality. So when the opportunity came up to have a conversation with Keune UK’s Managing Director, Lee Harper we jumped on it. We met Lee Harper at his offices on the edge of Plymouth, overlooking Dartmoor’s natural beauty. It was an appropriate setting too, because our conversation soon turned to beauty. Lee explained how Keune (pronounced “cue-n” like snooker cue with an “n” at the end, by the way) place the natural beauty of hair at the heart of every product they create. “Keune are different from most others in the industry,” Lee told us. The industry norm is to design a product, such as a gel or mousse, based on a particular budget and work from there. Keune do it the other way around. First, they establish a need for a product, then work hard to design the best one they can. It is not until the product receives 100% approval from the experts in Keune’s labs, that it will be priced. Keune itself began in Holland, started a generation ago by the same family that now still own and run it. These days it has branches across the globe but the original ethos is still entwined with the company’s DNA. As a family-owned business, Keune doesn’t have to keep a board of directors satisfied. They are free to create great products that they believe in. “And they really like to make great products” adds Lee, with a smile. “For me, that changes everything”. One of the things we love about Keune here is that they prefer to work with a specific type of salon. One that is more people-focused than money-focused. The type of salon that Keune prefer to work with have a keen sense of the importance of their ongoing relationships with clients. This is one of the reasons why they avoid chains of salons and never allow their products to be sold via a salon’s online shops. Keune is not compatible with the corporate mindset. In fact, they seem to think more like a boutique salon than a supplier. You will not be seeing Keune products on the shelves of your local supermarket any time soon. It’s not long until our conversation moves to the state of the professional hair industry in general. Every salon will be aware of the closing of the gap between the products used by hair care professionals and the products available to the public. As supermarkets start to stock wider ranges of products, clients are faced with an increasingly bewildering array of mousses, gels, volumisers, shampoos and sprays. Which ones should you choose? Which ones ought to be avoided? Will this product really help reduce the frizz in my particular hair? Each brand on the shelf is designed to look like it’s vital for your hair but often when you try it at home, the results are less than spectacular. This is where the opportunities lie for salons, says Lee. As he warms to this subject it quickly becomes apparent to us that this is a topic on which Lee has strong opinions. It’s a missed opportunity that he wants salons to pick up. “Hairdressers often fail to provide the professional advice that clients want, and they also do not provide the homecare advice” he says. This is not through any failure of ability, he stresses, but because stylists take such great pains to avoid damaging their relationship with their clients. Over the years, Lee has observed that clients would like more advice from their stylists, but that their hairdressers can be reluctant to give it for fear of appearing to be trying to sell rather than advise. “The demand from clients for that kind of professional advice is enormous,” explains Lee, but stylists seem to lack the confidence to meet it. This creates a gap. Currently that gap is being filled by mass-produced products available in supermarkets, chemists and websites, instead of the professionals; and clients are suffering because of that. We are inclined to agree. At The Cutting Garden, we like to advise our clients whenever we can as to the best products and hair care practices. Our stylists are highly trained and experienced. We trust them to give advice when it is welcome and encourage clients to ask for tips and suggestions to avoid damage or maintain hair health. Without professional guidance, clients have to guess which products are best for their hair. Supermarket checkout staff can’t give that advice. Online checkouts can’t give that kind of informed assistance. So without expert help from the people that really know about hair, clients have to guess, and most of the information available to them comes in the form of advertisements. Adverts are not impartial, rarely professional, and never based on an examination of the client’s actual hair. The result? Clients have to keep buying different products and hope that by trial and error they eventually find the right products for their hair. That kind of guesswork can take a long time and get pretty expensive. The Cutting Garden is committed to providing the best hair care advice possible. When our stylists use a product on your hair, rest assured that their choice is based on expertise, experience and knowledge that has been acquired over time. Take the guesswork away and take your stylist’s advice. It was inspiring to see how passionate Lee is about the hair industry, so we pushed him to talk more about it. “It’s really why I come to work” he says. “ The industry is not held in nearly high enough regard. It’s a high pressure job and the tolerances for error are zero. If you mess up a client’s hair you will hear about it. 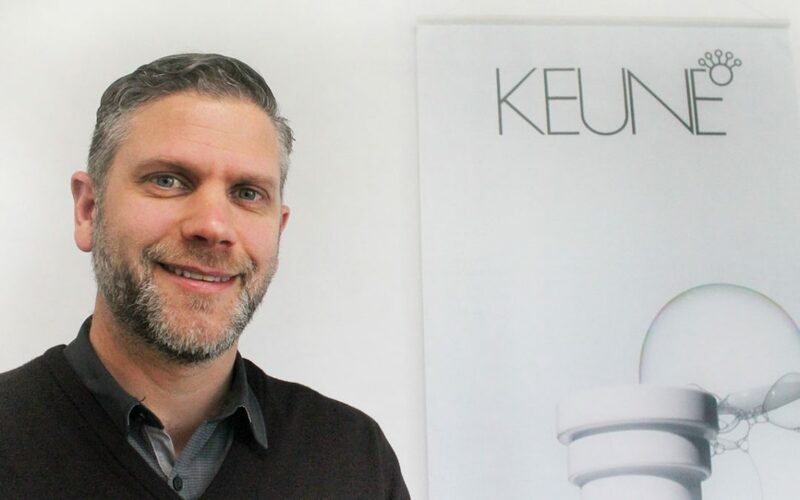 How many other jobs have that kind of pressure?” It’s becoming obvious that Keune’s success in the UK is closely connected with Lee Harper’s respect for professional hair salons. Luckily for Keune, there are many other salons across the UK that share this approach. Salons that care deeply about what’s in the products they use are part of a growing movement. A holistic approach to health, hair and beauty is inspiring to us and our clients. We’re sticking with Keune because when it comes to looking after our clients we share all the same important values. 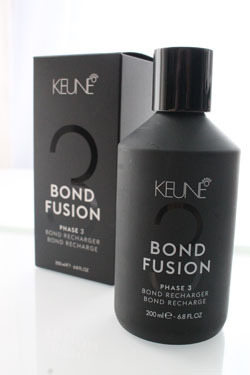 If you are reading this in another salon or another city, we encourage you to ask your salon to consider using Keune. Their range of high quality products are helping us to raise the standard of hair care here in Plymouth. We love their “quality first” approach to their products… and so do our clients. Book your next appointment now and be sure to ask your stylist for hair care tips that suit your particular hair.